Have your clients and employees be moving billboards for your business with the License Plate Frame! This frame measures 12 3/8" x 6 5/16" and is made from a heavy duty plastic. Choose a color option for this traditional style plate then have a personal message, company name or logo imprinted on 2 panels. 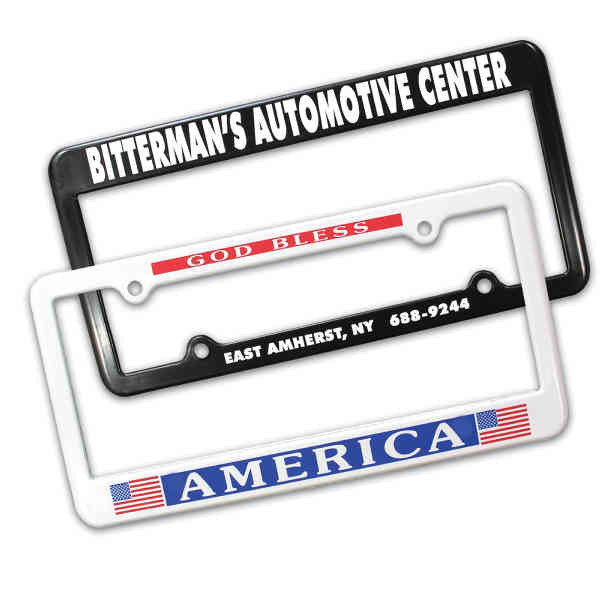 This Made in the USA auto accessory can help build brand awareness on the road. Size: 12.375 " x 6.3125 "